There’s a new girl in town, and she wants to be your friend. In fact, she wants to know everything about you! She’s a very capable assistant, and can help you in many ways. 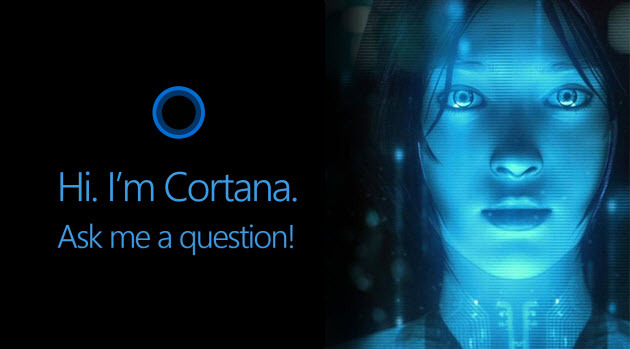 Move over, Siri – Cortana is here! Sounds amazingly cool, right? And it is. And then you realize what you have to be willing to sacrifice in terms of privacy to make all of this possible. When you use Cortana, Microsoft collects and uses information including your device location information and location history, contacts (People), voice input, searching history, calendar details, content and communication history from messages and apps, and other information on your device. In Microsoft Edge, Cortana collects and uses your browsing history. She’s watching where you are, where you go, where you’ve been, what you’re doing on your computer, what you’re searching for, who you know, who you email and what you’re telling them, what you have scheduled, the online purchases you make, what’s important to you, what you want to remember, and on and on. In other words, when you use Cortana, Microsoft is watching everything you do on your computer, and recording, cataloguing, and using it to bring you the most relevant information. But who knows what else they’re really using it for? Do you? I certainly don’t. No piece of information on your computer is safe from Cortana’s prying eyes. Microsoft’s data-gathering tactics are at least troubling, and maybe even downright frightening. Coupled with other invasive privacy defaults, Windows 10 can have your computer sending tons of information about you to Microsoft, without your even realizing it. So how do you keep Cortana from watching your every move? You turn her off. What is particularly annoying is that you may have specified at the end of your Windows 10 upgrade that you DO NOT wish to use Cortana. And in spite of that, you may still be left with a box that says something like “Hi, I’m Cortana. Ask me anything.” EVEN THOUGH CORTANA IS TURNED OFF! That’s infuriating. Here’s how to disable Cortana. As a result, you should end up with a Search box next to the Start button (flag) that simply says, “Search Windows.” That’s what you want. Now you can safely search your computer for whatever information or feature you wish without having to worry about it calling home to Microsoft. But, maybe you’re one of the millions who IS WILLING to sacrifice your personal privacy for the ultimate search assistant. More power to you. I hope you and your new blue friend will be very happy together.